1) Money isn’t what it used to be. Trump won spending about five dollars per vote…half of what Hillary spent. That’s not to say that money doesn’t matter. It helps you communicate and organize. But this totally upends what the “smart people” who try to get big donors to waste millions of dollars constantly tell us. 4) Staying on message matters…a lot. Because the “message” matters. This one speaks for itself. 5) Republicans don’t have to pander to win (repeat…Republicans don’t have to pander to win). Note that Trump got a higher percentage of the black, Hispanic and Asian vote than Romney did…using a message that the “smart people” (who showed us how to lose) said would kill us with minorities. A blue-collar, middle-America message appeals across racial lines. 6) Evangelicals are a growth market. Trump got a higher share of evangelicals (81%) than Romney, McCain or Bush…and there are tens of millions more that still don’t vote. It’s the second most loyal demographic – and the largest pool of untapped votes – in American politics. Keep in mind that any real growth that we will ever see among minority groups will come from those sitting in church somewhere on Sunday mornings. That means that religious liberty issues matter. 7) The Rust Belt is the GOP’s presidential future. I’ve been saying this for years. The future of our winning/keeping the presidency lies in combining most of the South with the Rust Belt; meaning blue-collar voters and Catholics (of which Trump won 52% nationally). And they don’t like globalism and open borders. 10) Successful politics is about addition and multiplication. And that starts with unity. Now is our opportunity to bring new people in and build something bigger than what we had. I’m sure other lessons will become self-evident (or may be right now), but these are some that Republicans should take to heart. Pass it on! Hi there! If you are new here, be sure to subscribe and get my free report "9 Conservative Grassroots Opportunities"! 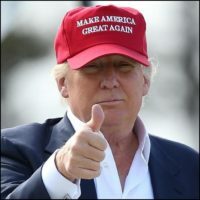 Join over 25,000 other conservatives and keep up with my latest grassroots activism tips and conservative commentary. Click here and get started on your grassroots education today! I’m a conservative activist and political consultant with over twenty years of experience in grassroots politics and a passion for helping conservatives have an impact on the things they care about. 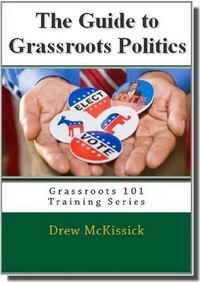 Check out my commentary and tips on grassroots organization. Click here to contact me via email.